Twitter temporarily bans Iran's Supreme Leader from tweeting after ht posed a message threatening author Salman Rushdie. 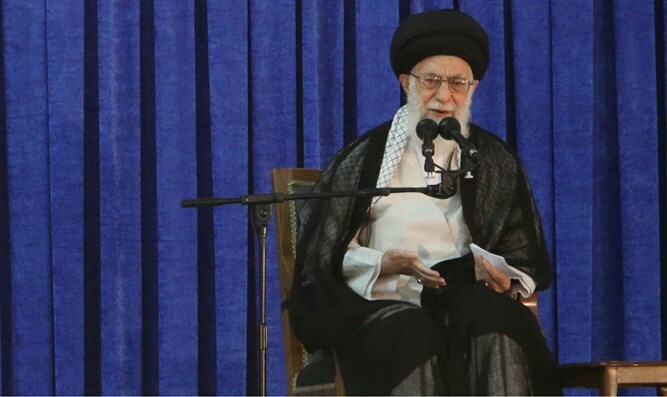 Twitter has temporarily banned an account connected to Iran’s Supreme Leader, Ayatollah Ali Khamenei, for posting a message threatening author Salman Rushdie, The Washington Times reported. The account, @khamenei_ir, was temporarily banned from further tweeting until it deletes a recent post referencing the fatwa issued by the ayatollah’s predecessor against Rushdie in 1989. “Imam Khomeini’s verdict regarding Salman Rushdie is based on divine verses and just like divine verses, it is solid and irrevocable,” the account tweeted Thursday. Twitter issued the ban on Friday, according to The Washington Times, with a spokesperson for the social network pointing to the platform’s terms of service when reached by the newspaper. “It’s against our rules to make specific threats of violence or wish for the serious physical harm, death or disease of an individual or group of people,” said the Twitter spokesperson. Accounts deemed in violation of Twitter’s rules are prohibited from tweeting until they voluntarily remove whatever post or posts that prompted action, according to the platform’s policies. The @khamenei_ir account has not posted since Thursday, and the user did not immediately return a message seeking comment. Khamenei regularly attacks both Israel and the US via his Twitter account. In November, he belittled Israel, claiming the Jewish state is “weaker” than it has been in the past. A day after later, Khamenei took to Twitter again to blast both Israel and the US. “Today, to hell with the U.S. and Zionist regime for threatening the Iranian nation. Their threats and atrocities have so far failed and will continue to fail; the sanctions will also be defeated by the grace of resistance,” he wrote. Ironically, Iran blocks access to numerous websites, including Facebook and Twitter, in order to stop Iranians from browsing content it considers immoral, or as undermining the regime. Last April, Iran’s judiciary blocked voice calls on Telegram, the most popular messaging app in the country, following the arrest of 12 people who ran popular reformist channels on the app. Just last month, authorities in Iran announced that they would ban photo sharing app Instagram due to “national security concerns”.